Get a new look at the #JusticeLeague - prints available in October - Check back soon for details. You know the release of Justice League is getting closer, when our favorite heroes are everywhere you look! (including as Twitter emojis). Warner Bros. has released a cool set of individual posters (minus Superman) that you can see by clicking through their Instagram post above. Subscribers to Empire magazine are getting this awesome cover for the November issue. 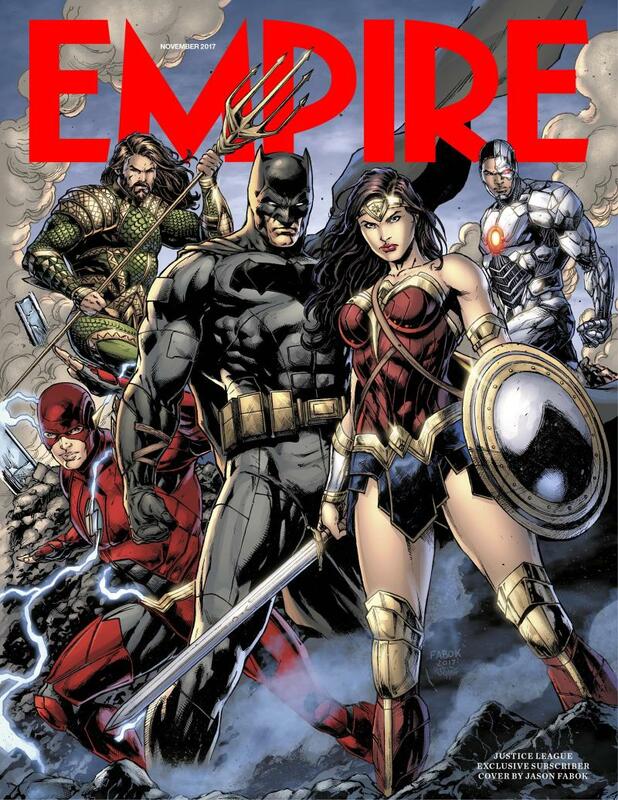 The Justice League issue of Empire goes on sale next Thursday, with the regular newsstand cover set to be revealed before then. You never know... maybe this time we get a sneak peek at Supes! UPDATE 10/3: They're keeping us waiting. The Justice League promo is now showing up all over the world, including at several conventions. Stores have also begun rolling out the products tied-in to the film. There is even an advent calendar counting down to a SUPER Christmas. So we're enjoying Justice League to the max. Just over a month to go! Sorry, but can't get excited about the mass promotion of unhealthy and consumption of unhealthy food products and disposable products that eventually land in land fills.